Convict Tangs are very non-aggressive tangs, but most of the time they come in very poor condition and just waste away over time. They do well with other fish, but you need to be careful with tangs of similar shape. Hawaii Convict Tangs have only a particle strip, just before the tail, and not the particle strip and then a dot. 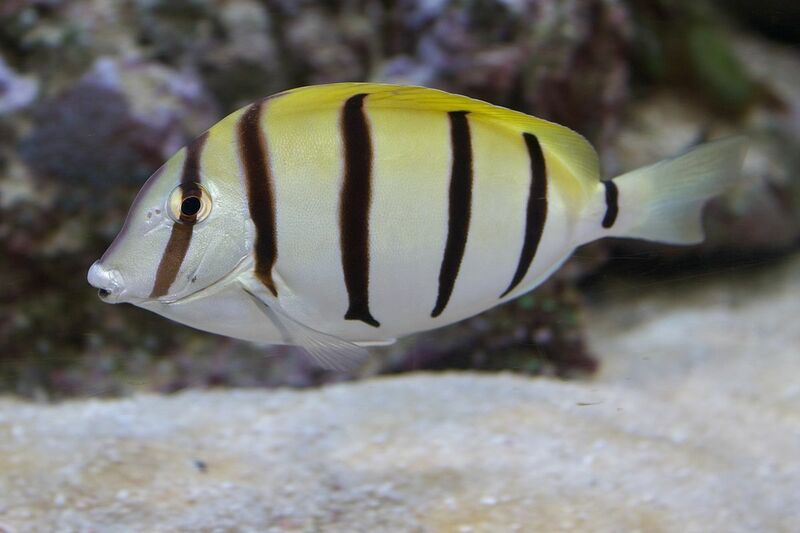 This Convict Tang picture is from Hawaii.